Instead, what M2W is doing, is cutting down on its commuter segment investments (no more Centuro/Pantero misadventures) and moving towards a niche market. It's starting off with 'Classic Legends' -- an arm that has acquired BSA Motorcycles and bought the license to sell Jawa motorcycles in India. Trust me, you'll capture sizeable chunk in the two wheeler segment. Great news! Jawa was my dad's favourite bike and he always regretted selling it for a Rajdoot 175. Waiting eagerly to see in what new avatar they bring it. A bigger engine is a must if they are targeting RE market. AWESOME news ! I got my dads Jawa restored 5 yrs ago. will be good as availability of spare parts might be better. How are BSA and Jawa connected? I thought Jawa as a company is still running and is not sold. Google says Ideal Jawa is defunct in the year 2005. While i like the idea of resurrecting old brands, Mahindra will have to make sure they do a good job. The days of nostalgia is over. So me buying a Jawa for nostalgic sake is too low compared to buying an awesome Jawa. Hope they get it right. Last edited by sunishsamuel : 25th October 2016 at 18:35. Mahindra seem to want to improve their two wheeler business. There's an untapped market- cruiser segment between 300-500 cc, where RE is having a field time. And no better way to get a share of that pie by having classic brand names. From what I read in this forum and elswhere, the Mahindra Mojo is somewhat a modern day Jawa / Yezdi. Good ride, almost as comfy as the Bullet, lots of power- all like Yezdis and Jawas. So it would be befitting if Mahindra sells the Mojo as a Jawa. Right, and they would probably call it Mawa or Jojo. But looks like they've bought those companies so that they can take the retro design and fill it with modern tech. Something akin to what Triumph does and what RE hopes to do. Triumph's bikes still retain that retro look which filling in tech like traction control, ride by wire, etc. REs, well, have fuel injection. 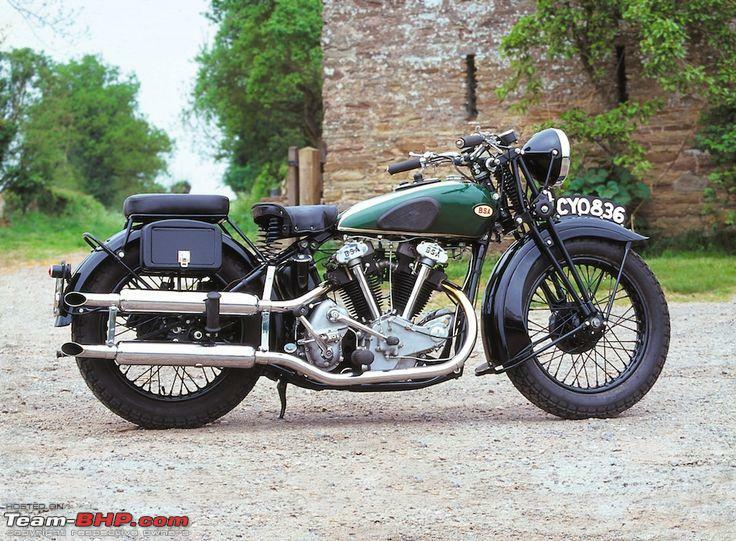 I just wish they come up with multi-cylinder engines and at least ABS in those gorgeous BSA bodies. BSA and JAWA are not related in anyway. But as the opening post says Mahindra has simply bought the rights to both brand names. They dont want to use the BSA brand in India as it is synonymous with the cycle brand (wonder how Hero manages it) and so they'd brand them as JAWA for India and a few asian countries whereas it will use the BSA brand for UK,US and EU. Hope Mahindra can do justice to both brands and not sink them deeper under ground by churning half-arsed products. While the ideal/strategy looks good on paper, I just don't expect Mahindra to execute it without hiccups. Giving a tough competition to RE will involve a lot more than using classic brands names. People buy REs because they come from the same old company that has been making these motorcycles the old-fashioned way for a long time. Fans/loyalists of Jawa (or BSA) are limited in number and even they won't just blindly buy a rebadged Mojo for the sake of owning a "Jawa." Just my thought. at 1/5th the cost of a Bonneville, with modern tech? I would lap it up BSA or not. Jawa has shut shop. They had a plant near Mysore. IIRC there was a thread on team bhp about the factory. The article says that Mahindra has bought the license to sell Jawa motorbikes in India. The Czech Jawa is still alive and kicking, and churning out 2-stroke 350s even today. I'm unsure how I feel about this announcement though. It seems like Jawa CZ won't be doing much here, and the vehicles will be purely Mahindra badged as Jawa. Nonetheless, interested to see how it will turn out. The Yezdi Roadking was the first vehicle I owned (and regrettably sold off) and I first learned to ride bikes on my cousin's Roadking. Hope they do the Jawa brand justice. That was Ideal Jawa which was the Indian collaboration which shut shop. I missed Jawa in the article. I feel the name should be left alone. The name brings back memories to few of us and bringing it back will not only disappoint the old timers since obviously the bikes would no were be like the erstwhile Jawa's , neither will it strike a chord with the later generations . I really don't understand the idea behind this.